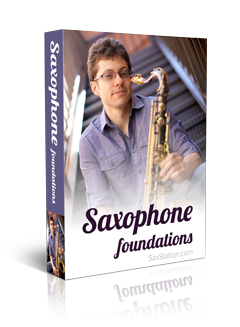 And here are a few saxophone articles for players new to the sax. find this kind of passion? In this stage you are most open to new ideas, a not afraid to try things. Just added you, click on the confirmation link in the email and you’ll be good. Need help! I learned to play alone with no lessons from an instructor so I cannot read music and I don”t know what bad habits I have acquired. I play for church and in a band . My skills are limited. How can I learn good fundamentals if I cannot read music. I have learned just by listening. Can you help? I have been playing about ten years. You’ve probably figured out some things in the ten years. It’s a bit harder, since you probably haven’t found the equivalent of a method book by listening. But you can start with easier things that you hear and just make up exercises and things like that on your own. Do you want to learn to read music? It will take a little bit of time, doing it a bit every day should do the trick. And it will open up what you can do musically.